There's a local business called The Designer's Lounge. 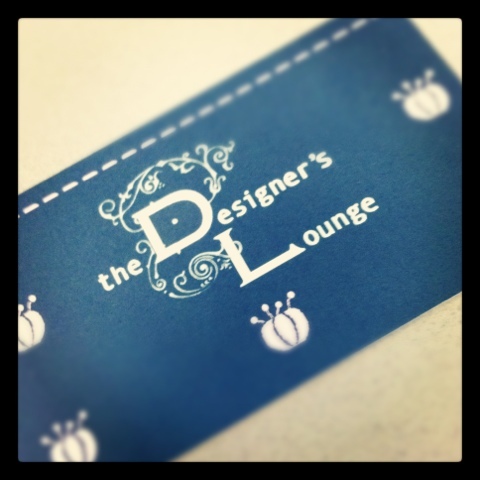 It's a place where you can learn fashion design skills like pattern drafting and draping, along with sewing and other things. Boy do I wish this had been around when I was taking such classes in Santa Fe. 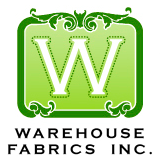 Would have saved me a long trip and supported a local business, as well.I had never been to this place (I did make it over there once but they were closed, darn the luck), but I was on the mailing list and followed it on Facebook, etc. I tell you, due to time constraints, I often delete emails from companies unread. But for local shops, I try to take a look. This newsletter announced an anniversary giveaway, so I entered. And I won! I won five hours of free instruction on the topic of my choice. After a consultation with the owner, Teresa, I decided on fashion illustration. I have explored draping and flat pattern before, though I don't remember much. I thought that since I don't have much time right now for "homework," I'd probably be better off not getting involved in a garment right now.I have never been able to draw anything. At all. 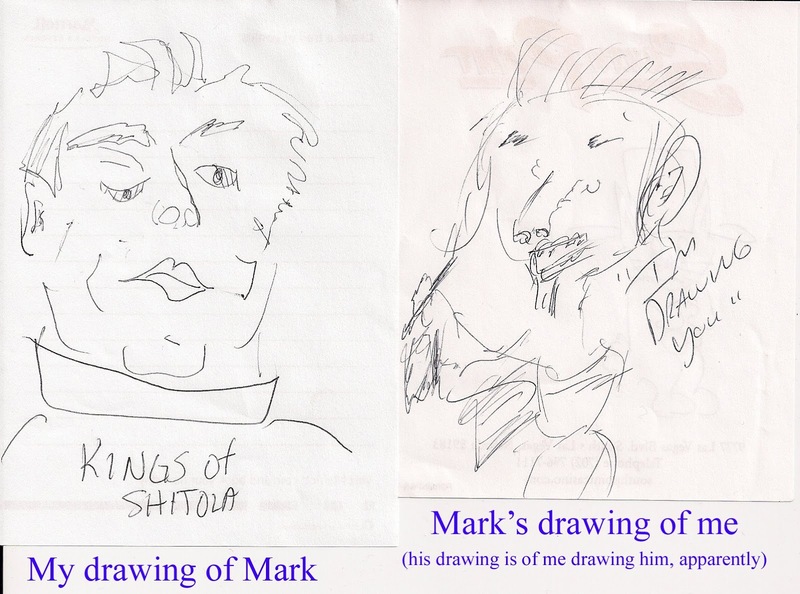 My dad and brother were natural-born artists. Not me. I still draw about on the level of stick figures, at best. But Teresa says anybody can learn, so this will be really fun for me. I have my first lesson on Tuesday. Let's see what my starting point is. 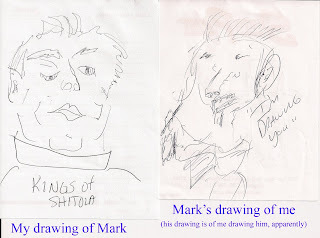 This is a photo from a few years ago where I drew Mark and he drew me. I never thought anyone could be worse than I am at drawing, but there he is! I drew the picture on the left. Incidentally, our 2-year-old son instantly knew who it was when I came across it the other day in a drawer, so there must be some resemblance, right? I'll give you an update after I do some learnin'! Can you also draw a picture for ReginaNozze?